Perma-lay™ Asphalt Overlay is an eco-friendly product designed to resurface and extend the life of asphalt pavements without the traditional drawbacks of oil-based asphalt resurfacing. Perma-lay™ Asphalt Overlay bonds tenaciously to exposed aggregate and gives the same superior properties of concrete, such as hardness as well as chemical and UV resistance, while providing fast turnaround times in a wider range of application conditions. Perma-lay™ Asphalt Overlay has superior compressive, flexural, and tensile strength in comparison to ordinary asphalt composition making it superior in high traffic areas. Perma-lay™ Asphalt Overlay can be used in conjunction with sealcoat for a high performance, long-lasting coating or in place of slurry seal or an asphalt overlay without the need for milling. With a 20+ year lifespan, Perma-lay™ Asphalt Overlay far outlasts traditional asphalt resurfacing products. This damaged road was stripped down to the concrete. This asphalt overlay will create a smoother experience for local drivers. Steadfast bonding properties - Perma-lay™ Asphalt Overlay bonds tenaciously to exposed aggregate. 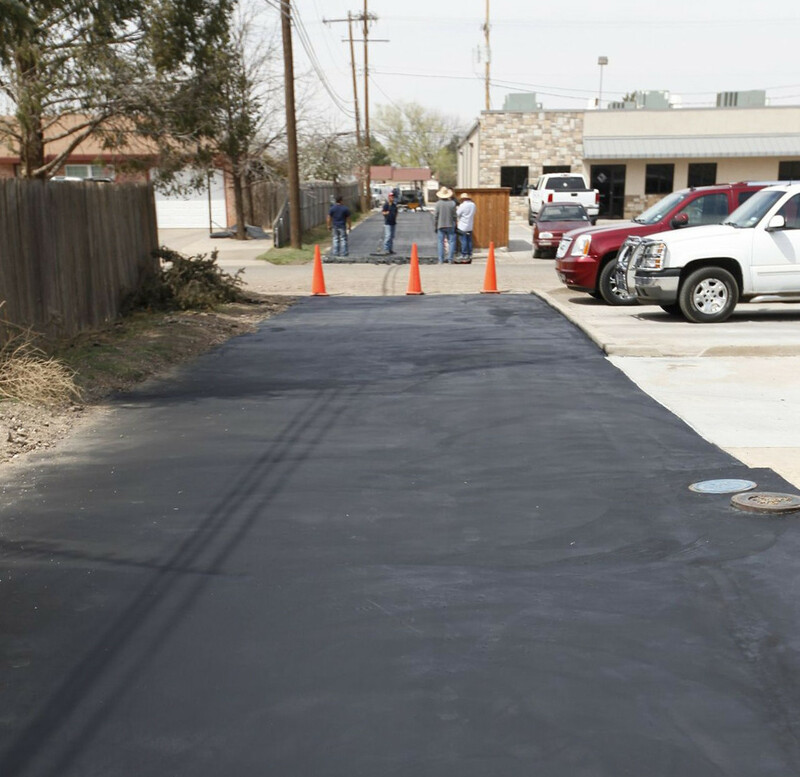 Cold weather installation - Perma-lay™ Asphalt Overlay can be installed in cold temperatures provided there is no precipitation at time of installation. Minimally disruptive - Installation is fast and efficient, thus leading to a minimal amount of downtime, and can also be installed at night as it does not require UV light to cure, unlike most other asphalt products. If downtime means money, our solution is for you. Durable - Unaffected by water, UV light, salt, oil, or gas. Durability actually increases over time! 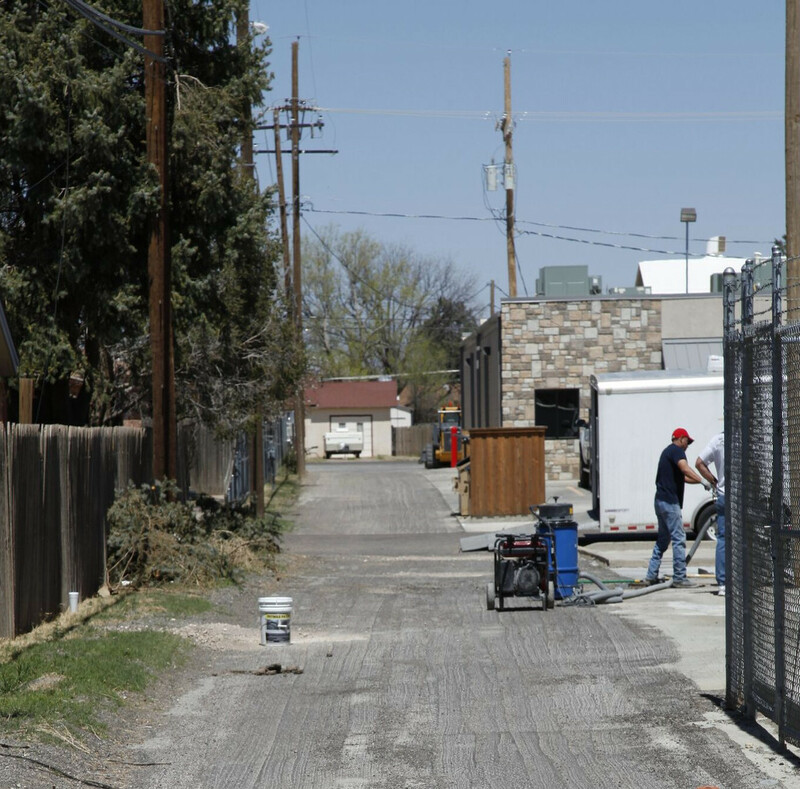 Resilient - When used in conjunction with Perma-lay™ Penetrating Sealer, our asphalt overlay is exceptionally resistant to stains, dirt, and grease. Slip-resistant - Ideal for driveways and parking lots. 20+ year lifespan - and counting. Colours - Available in both black and gray. Guaranteed 10 years - If you can find a longer warranty for a comparable product, we’ll match it. Note: Warranty may vary based on the condition of asphalt. Perma-lay™ Crack Repair is a two-component, concrete-based product that can be used on any size cracks and can be accelerated in cold weather for fast-track applications. Perma-lay™ Crack Repair is a cold-applied, steel reinforced, flexible material that is compatible with both Perma-lay™ Asphalt Overlay and Perma-lay™ Concrete Overlay. Cold Weather Installation - Perma-lay™ Crack Repair can be installed in cold temperatures with the use of accelerants. Applications - For all crack repair on asphalt or concrete surfaces. Ideal for use with either Perma-lay™ Asphalt Overlay and Perma-lay™ Concrete Overlay. Perma-lay™ Penetrating Sealer is a reactive penetrating siliconate solution that increases surface strength and helps against staining. Perma-lay™ Penetrating Sealer is a water-based, eco-friendly sealer used to seal Perma-lay™ Concrete Overlay. Odourless - Does not emit chemical-like fumes. Applications - Sealant used for Perma-lay™ Concrete Overlay. Can also be applied as a stand-alone product on existing warehouse floors. When your concrete and asphalt application has seen better days call Purlift. Our expert repair services will have your property looking brand new!